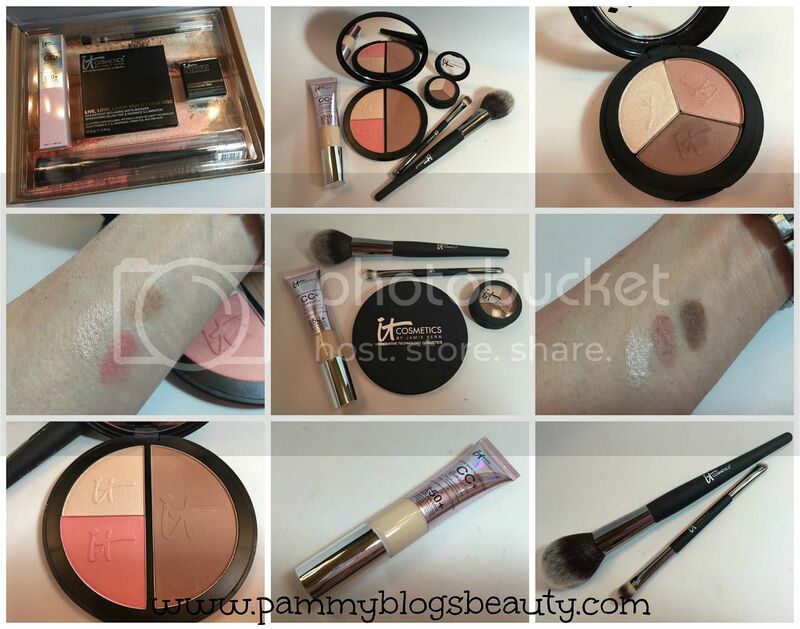 Pammy Blogs Beauty: CC+ Your Way to Radient Skin: It Cosmetics' NEW Spring 5-Piece Collection at QVC!!! 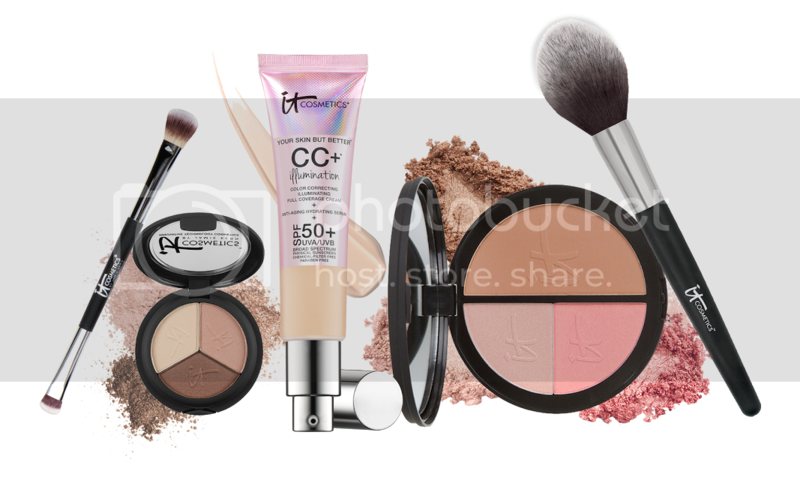 CC+ Your Way to Radient Skin: It Cosmetics' NEW Spring 5-Piece Collection at QVC!!! It is time for another QVC deal with It Cosmetics! I just love sharing these deals with you lovely readers because they really are an absolutely amazing value...and, It Cosmetics is totally one of my all-time favorite cosmetics brands! So, without further a-do, here is the scoop! This collection debuts today, March 27th, at midnight on QVC! This is QVC's best deal of the day and it is only available for ONE DAY! So, if this collection interests you, don't delay!!! I believe they almost always sell out (especially in the popular shades)! This collection is priced under $60 and has a value of $172! Wow! NEW Your Skin But Better Anti-Aging Full Coverage Physical SPF 50 CC+ Cream Illumination: This is a full-coverage foundation with SPF 50+ UVA/UVB sunscreen that also acts as a brightening color corrector, anti-aging serum, pore minimizing primer, dark spot corrector, and moisturizing day cream. Talk about multi-tasking! This is IT Cosmetics cult-favorite CC Cream in a more illuminating formula! So, if you are a fan of their classic CC Cream, then this is a must-try for you. I adore their CC Cream and am super excited about this product, too! The shade Fair works beautifully for my skintone. The finish is very luminous and glowy with a bit of sparkle that somehow doesn't look overdone. The coverage is very nice, too. I think that this is going to be a perfect product for Spring and Summer! Anti-Aging Vitality Face Disc: Live, Love, Laugh Vitality Face Disc: OMG! I am so super excited about this product! It is a huge disc with a Waterproof Anti-Aging Matte Bronzer (dark, but totally workable on my fair skin), a Brightening Blush Tint (in the most beautiful glowy peachy pink shade: such a universally flattering color and certainly the blush color that I tend to reach for most! ), and a Radiance Illuminator (in a gorgeous shimmery champagne shade). The best part is that these products are packed with anti-aging ingredients! The back of the box has a photo guide for application of highlight, contour, and blush. I am totally saving the box for this picture (hey, I am not a makeup artist and need "reminders" like this for good contouring). NEW Heavenly Luxe Radiance Wand Brush: If you have never tried IT Cosmetics brushes, then you are missing out. They are amongst the best in my brush collection! :) This ball brush is the perfect shape for blush and bronzer! You can use this for all of the products in the face disc. It is so soft and the domed shape and long handle really give you a lot of control with application. NEW Heavenly Luxe High-Performance Anti-Aging Eye Shadow Trio in Pretty In Spring: Give your eyelids the naturally pretty, anti-aging, skin-loving shades they deserve! This eyeshadow trio is packed with high-performance pigments and anti-aging ingredients that help blur away the look of imperfections. The trio includes three new spring-inspired shades. These are exactly the types of shades I like to wear for everyday: a shimmery champagne for the lid, an soft rosy natural for the crease, and a matte brown for outer corner/liner. The shadows are pigmented, soft, and blendable! Plus, I love the packaging of this little trio: perfect for travel! It is all you need for a complete eye look in a tiny little compact! No Tug Dual Airbrush Eyeshadow Brush: Don't you just love that this kit has all of the tools you need included in it? This is a beautifully soft eyeshadow brush with one compact end and one fluffy end. Give your eyelids and airbrushed finish! This cutting-edge, dual-ended eyeshadow brush applies shades flawlessly without tugging on the delicate skin of your eyelids. This kit is AMAZEBALLS ladies! If you are an IT Cosmetics fan...or if you are just curious about trying out this awesome brand, this awesome special value kit is the way to go. So, be sure to check out this deal TODAY only on QVC!